These two (or three, really) are so much fun to be around! Kinsey, her mother, her sister & I had been messaging back and forth for a little while about Kinsey's upcoming engagement & wedding, but I hadn't met Kinsey or Josh until I met them out at her Dad's cattle farm in Benton! Just like any summer night this year, it was a hot one, but that is okay! We spent the time chatting while cooling off in the office! These two are super great to get along with & were so easy to pose & tell exactly what I needed for a specific picture. 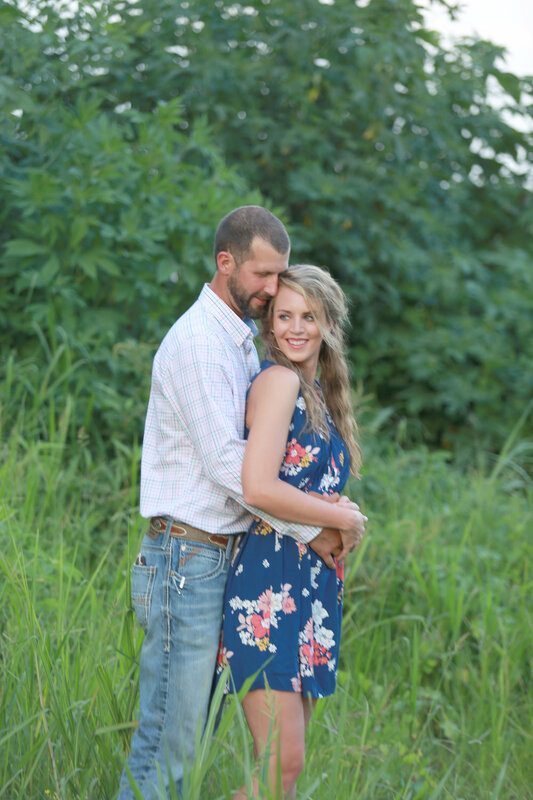 Kinsey had a couple ideas of her own, as did Josh, & I have to say his out in the cattle field are a few of my absolute favorites! 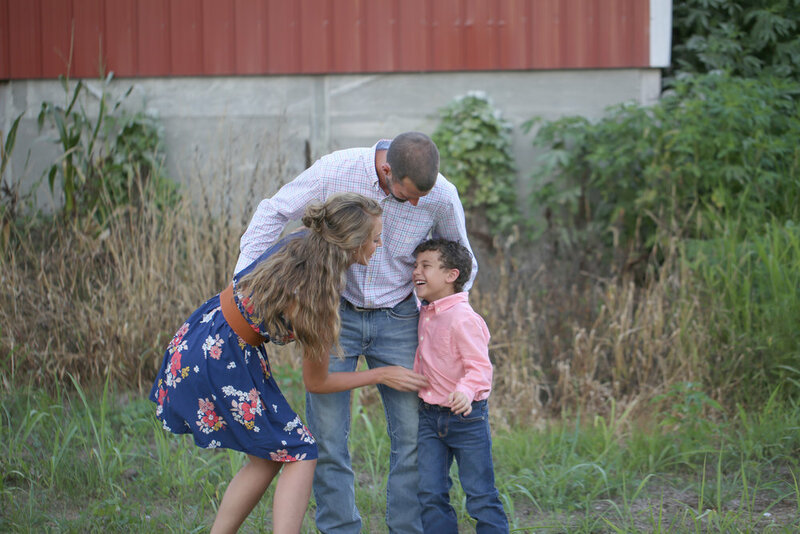 We shot around the farm, down in the cattle fields, & then made our way over to a family barn for a few pictures! I got some kisses from Gator (Josh's horse) while I was in his arena. I guess you could say he didn't much care for sharing, but that is okay, he was pretty lovable! Josh & Kinsey will be getting married at a friends farm about a month & half from now! I can't wait to be there for their big day! 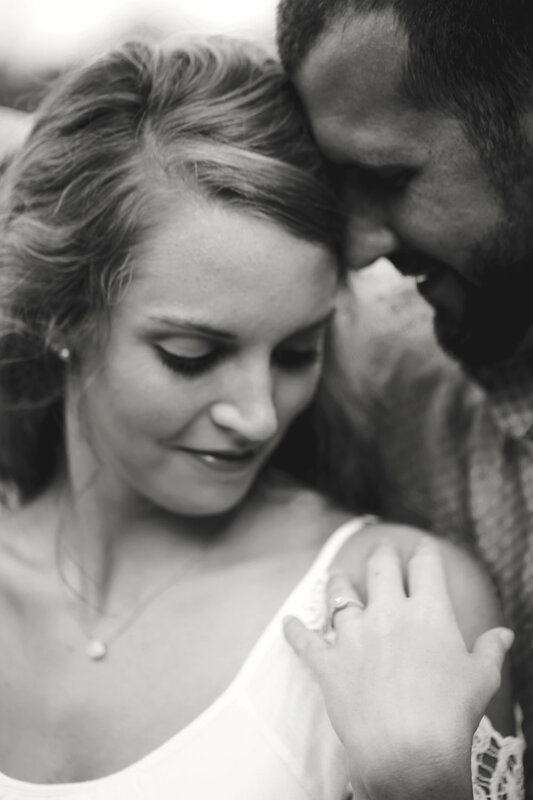 But for right now, enjoy a few more of their sweet engagement session!